The Linnum range grows with theincorporation of Linnum 40. 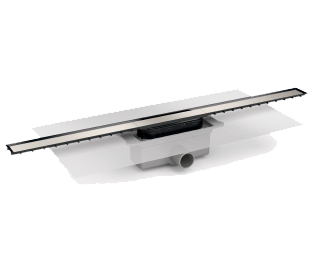 A new slot channel with only 40 mm wide creating modern and minimalist shower spaces. Noble materials have been used to manufacture the visible parts of Linnum 40 as its stainless steel grid which makes it more resistant and easier to clean. Aesthetics, elegance and quality to give a piece of distinction to the bathroom. The breakthrough of the linnum 40 is to reduce the width of the grid while the flow rate of drainage remains very high. The maintenance and cleaning of the system is easier due to the 3 mm depth channel with stainless steel cover. It simplifies the collection of water in the central collector and prevents the accumulation of dirt. The removable trap and the hair filter integrated in the central grid make of the Linnum 40 an easy maintenance drain. 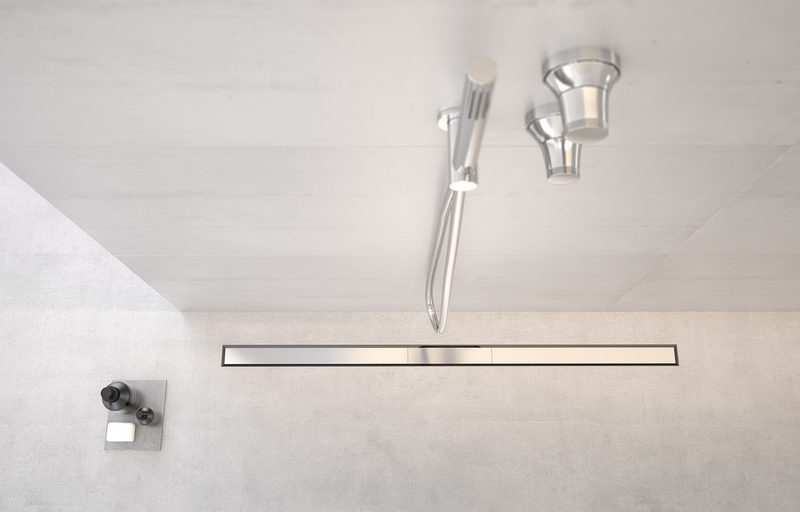 Adaptable to different thicknesses of ceramic thanks to its extensible system, it can also be installed close to the wall or in the middle of the shower. The Linnum 40 interior system guarantees the total watertightness, thanks to the waterproofing fabric welded to the body. The design concept based on pure lines is timeless and allows to use Linnum 40 in classic environments or in the latest trends in bathrooms. Same solution with 2 water seal heights, 5 different outlet options and 5 lengths to have a solution for any situation. Stainless steel grid with polished finishing. A minimalist and timeless design as a solution for any style of bathroom. Central grid with hair filter integrated, easily removable. 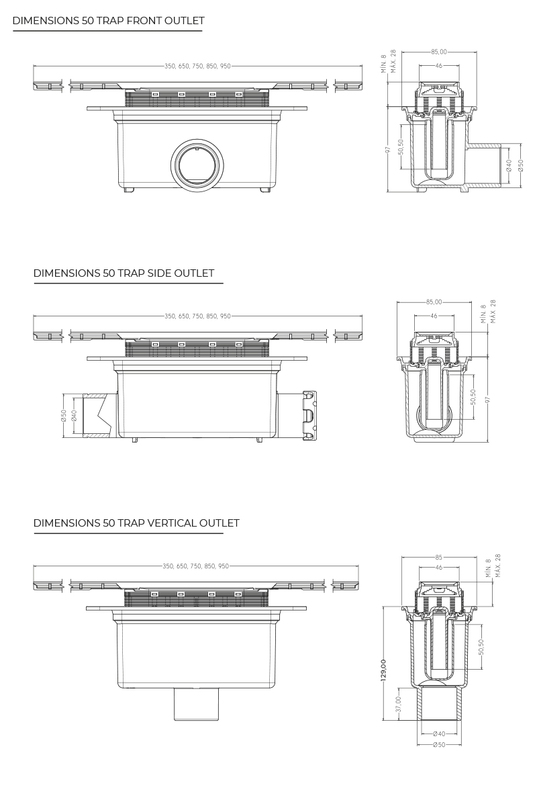 Two trap options with 30 mm and 50 mm water seal to adapt to any space avalable. Total height installation from 80 mm. Removable trap for cleaning and maintenance. We have had special attention in details to enable the installation in each situation. 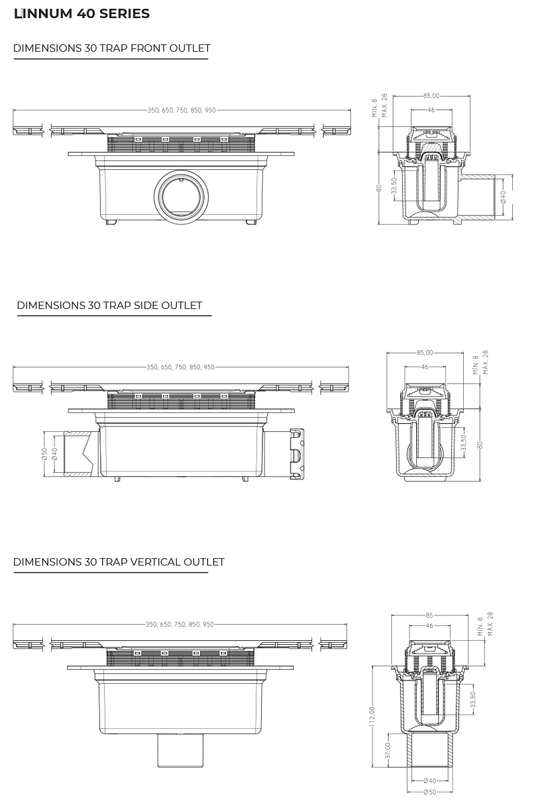 5 different outlets to chose between orientable 40/50M or 40F/50M to be glued, front, side or vertical. Limitless creativity. Lengths available of 350, 650, 750, 850 and 950 mm. 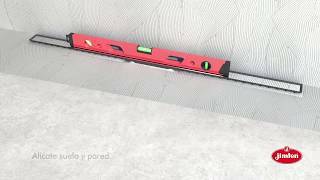 Includes cut-out extendable for tiles installation with thicknesses from 8mm to 28mm.